After your big day is over, you'll want to make sure your guests walk away with a custom wedding favor to enjoy and remember this special day. 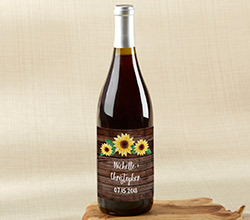 Kate Aspen's personalized wine labels can be wrapped around your favorite bottle of wine to create that very thing. 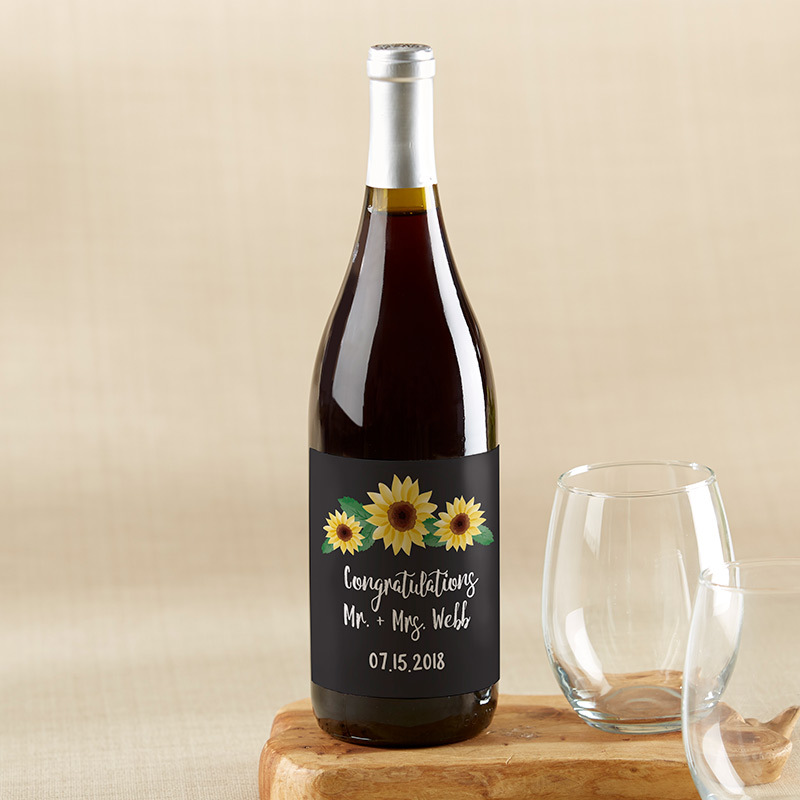 Once you add your event details to a choice of three different backgrounds, you'll have the perfect sunflower wedding souvenir. 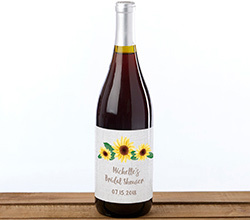 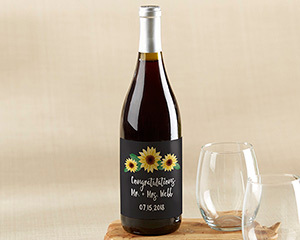 Personalized adhesive wine bottle labels (not waterproof) in Sunflower sticker with a charming decorative design on linen, wood and chalk background.